I started a Fair Trade business in 2004, after a trip to Bolivia when I linked up with two artisan groups and began importing their crafts. This started out as a part time enterprise; I received craft shipments twice a year and sold these products at local markets, Christmas bazaars, and festivals. In 2006, one of these shipments included a new product — one I had not ordered. One of the groups, Ayni Bolivia, had sent knit bags filled with animal finger puppets! Uncertain how they would sell, I put them on my display table with other Bolivian handicrafts. And, to my delight, they were warmly welcomed to Canada! During this time I received feedback from teachers who visited my displays. They saw the puppet bags as a valuable classroom resource and explained how they could be used by early childhood educators and primary teachers. I was advised to take them to public schools, daycare centres and family literacy centres. It seemed that I had discovered a new educational resource! Since that time, I have become more knowledgeable about their various educational applications. As well, I have seen many delighted children, parents and grandparents unzip the pouches and discover an imaginative toy. 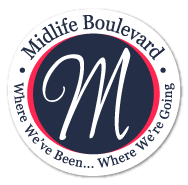 In 2008, I named them Three Bags Full and now sell full time to early childhood professionals, educational toy stores, reading specialists and children’s bookstores. I am now committed to distributing this original product in North America. Vania Rivero established Ayni Bolivia in 2002. Ayni Bolivia is a network of over 300 indigenous artisans across Bolivia. A well educated, and privileged woman, Vania wanted to help poor indigenous women improve their standard of living and develop self esteem through the production of well made handicrafts. She coordinates the work of many artisans, helps them hone their skills and finds both local and export markets for their handicrafts. The business is built upon Fair Trade principles. The original concept of knitted bags filled with finger puppets was developed by Vania. Typically these animal puppets are sold individually by vendors on the streets of La Paz. Sometimes the animal puppets are sewn onto children’s sweaters. These products appeal to tourists. Vania, a mother of three small children, wanted to create a product that children would enjoy. So, she began to design carrying bags with painted scenes on the front so that children could carry their puppets and use the scenes to tell stories. Once the concept was developed, she chose various Ayni artisans to make the bags and the puppets. Artisans work in three locations, as a cottage industry. Vania supplies the materials, coordinates the production process and handles the packaging and exporting to Canada. 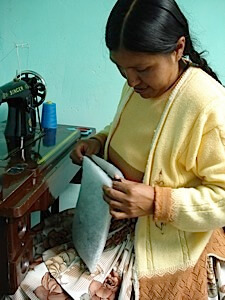 Justina and her husband make the bags in a small workshop behind their home. They work as a team. He uses a simple machine to knit the front andback of each bag as one piece before folding it in half and sewing the sides together. Justina stitches a lining and cotton batting inside the bag; she then sews the zipper in place. She finishes the pouch by crocheting and attaching the carrying strap. Hilda paints a scene by hand on each knitted bag using non-toxic fabric paint. Then she hangs them on the wall to dry in her small work room . Once dry, she inserts dome snaps on the bags and matching snaps on the puppets. A woman uses 4 small knitting needles to create the detail of each animal. They work at home and meet once a week to deliver their finished work to Vania. Last year the 30 women in this group knitted 24,000 animal puppets, enough to fill 3000 pouches! The original puppet sets came in 4 themes—farm, sea, jungle and woods. In 2008, Indigenous Crafts from Bolivia helped Ayni to create this uniquely Canadian bag—with arctic animals!! In Bolivia family life improves when women work. Their additional income ensures that the children are educated and receive adequate health care. In Canada professionals and parents appreciate using these colourful and tactile puppets to interact with young children while teaching them language and literacy skills. This is a win-win situation—for Bolivian and Canadian children. Ayni Bolivia and Indigenous Crafts from Bolivia apply fair trade guidelines to their work. Ayni’s artisans receive a fair wage, work in a healthy environment and receive training that enables them to support themselves. 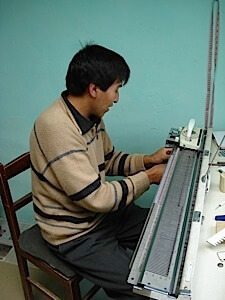 Indigenous Crafts from Bolivia pays Ayni in advance when purchasing products and helps Ayni develop products that will sell in North American. This type of partnership is the cornerstone to fair trade as it enables artisans from developing countries reach consumers who are able to purchase their products. It is great seeing communities coming together like this. Making 24000 puppets a year by hand is no small feat. That's a lot of puppets! When I saw Cheryl's earlier post on finger puppets, I immediately thought how great they would be for the classroom, and not just for elementary school. Shakespearian sock puppets would be a hoot! Two years in a row, I attending a teaching conference in Sun Valley and received a tote bag made using fair trade practices with a women's group in Africa. The value of such practices can only grow and prosper. I have always been a fan of fair trade and have made my share of purchases that way. I agree. I buy fair trade when I can just because I can and I know it helps.